Teacher Appreciation Week should be at the beginning of February. Yes, we’ve just had a break for a couple weeks, and if your school is like ours, you’ve probably had a few weather days as well. But there’s something about this time of year, something sort of depressing. It’s cold. It’s raining or snowing. It’s dark all the time. Everyone seems antsy and disgruntled. I don’t know about you, but it wears me down! I mean, the rest of the year is tough enough, right? There are days I’m not sure if I can keep doing this job. It’s hard. So, so hard. There are nights I can’t sleep because I’m stressed or overwhelmed by school or because I’m thinking about that one student who needs [fill in the blank with any number of potential things]. There are days I think these kids don’t care what we do. They don’t care that I’m working my tail off. They don’t care about what I’m trying to teach them. They don’t care that I have sleepless nights trying to figure out how to reach them. There are days I cry at my desk. And then there are those moments that make it worth it. This came from a sweet girl I had in Public Speaking for ONE semester. That’s all. But she reminded me that I have an impact, even when I don’t realize it (or when I just forget). I browse through my physical and virtual happy folders a couple times a year. I need that reminder. I need to see the evidence that even though they don’t (or at least rarely) express their appreciation while they’re in my class, many of them recognize the passion, hard work, and love I put into teaching them. So, press on, friends through these dark and dreary days of January and February. You can do it! You do have an impact! Check out this Unslump Yourself challenge from Pernille Ripp and sign up for the Phooey on February group with Besty Potash from Spark Creativity. I am an Instructional Coach at a high school in Hoover, Alabama. I love to write, teach writing, read books, ride horses, and play with my dogs. You are right, this time of year can be hard. We are a little halfway done with the school year and you feel exhausted. Little messages like this can definitely brighten your day. What an incredibly sweet note! I feel like the universe must know exactly when we need to hear things like this. I also received a very heartfelt note from a parent last Friday at the end of a long week, and it is so encouraging to hear these affirmations. We forget how much of an impact we make with our efforts, and it’s nice when students and parents take the time to help remind us. Hi there! I am a PD junkie who loves to share what I've learned with other teachers. I'm a former English & Public Speaking teacher who now serves as a high school instructional coach in Alabama. I'm obsessed with my dogs, books, and horses. You can usually find me with a cup of tea and my Kindle. We [Loudenclearblog.com] are a participant in the Amazon Services LLC Associates Program, an affiliate advertising program designed to provide a means for us to earn fees by linking to Amazon.com and affiliated sites. © Kristy Louden and Louden Clear in Education (Loudenclearblog), 2018. Unauthorized use and/or duplication of this material without express and written permission from this site’s author and/or owner is strictly prohibited. 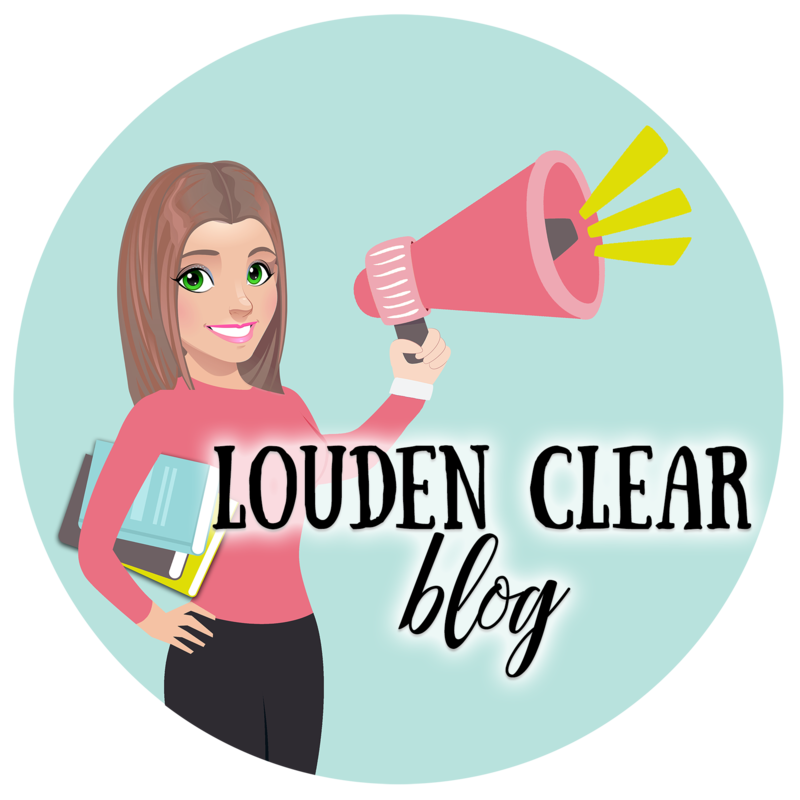 Excerpts and links may be used, provided that full and clear credit is given to Kristy Louden and Louden Clear in Education (Loudenclearblog) with appropriate and specific direction to the original content.